With the Drools and jBPM (KIE) 6 series came a new workbench, with the promise of eventual end user extensibility. I finally have some teaser videos to show this working and what's in store. Make sure you select 1080p and go full screen to see them at their best. What you seen in these videos is the same workbench available on the Drools video's page. Once this stuff is released you'll be able to extend an existing Drools or JBPM (KIE) installation or make a new one from scratch that doesn't have Drools or jBPM in it - i.e. the workbench and it's extension stuff is available standalone, and you get to chose which plugins you do or don't want. 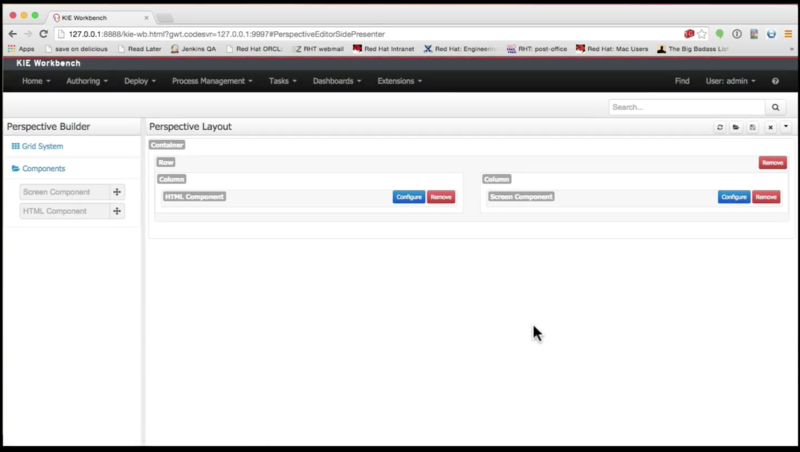 Here is demo showing the new Bootstrap dynamic grid view builder used to build a perspective, which now doubles as an app. 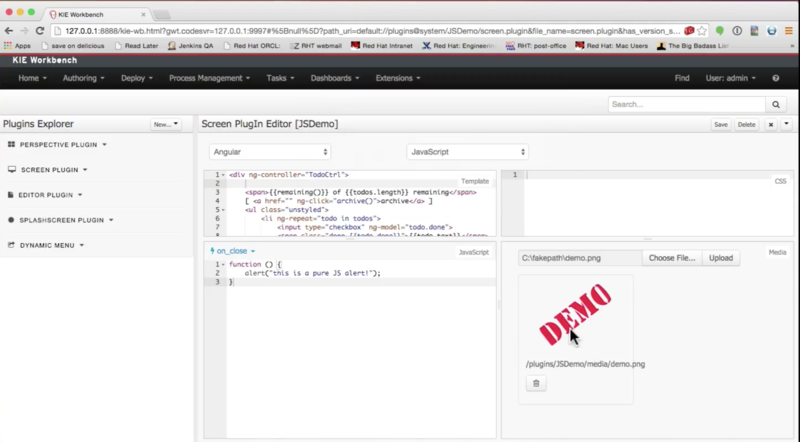 It uses the new RAD, JSFiddle inspired, environment to author a simple AngularJS plugin extension. This all writes to a GIT backend, so you could author these with Intellij or Eclipse and just push it back into the GIT repo. It then demonstrates the creation of a dynamic menu and registers our app there. It then also demonstrates the new app directory. Apps are given labels and can then be discovered in the apps directory - instead, or as well as, top menu entries. Over 2015 we'll be building a case management system which will compliment this perfect as the domain front end - all creating a fantastic Self Service Software platform.